Nearly every kitchen has a broom and dustpan. And nearly all of them are ineffective — no matter how diligently you try and transfer your pile of crud to the trash, some inevitably escapes and remains on the floor. 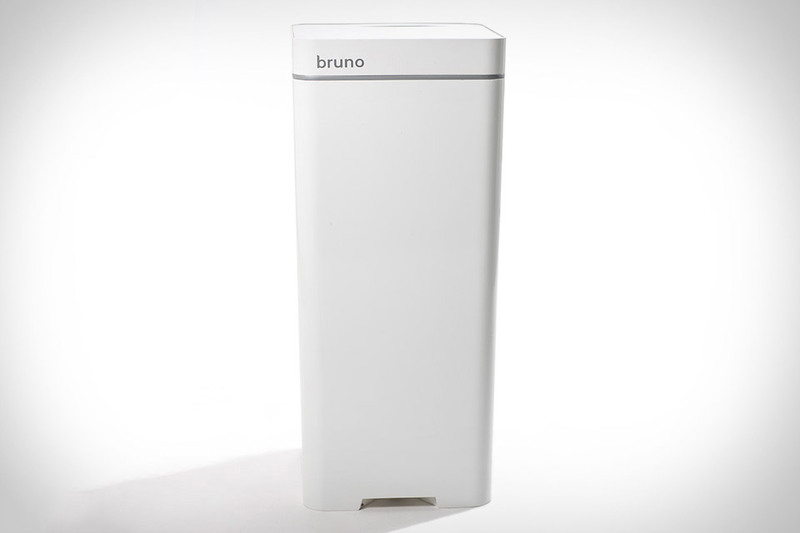 The Bruno Trash Can Vacuum aims to fix that by integrating a vacuum system into its bottom, letting you sweep your crumbs, pet hairs, and other detritus right up to the can, where they get sucked away and deposited into the bag. It also offers a built-in filter, a hands-free lid, and Wi-Fi for one-tap ordering of bags when you're running low, and automatic reminders to empty it when trash day arrives. Good enough for the coffee shop, but built for your house. The La Marzocco GS3 Espresso Machine uses the same thermal stability system in the commercial Strada model, which includes a preheater, a digital PID controller, a dual-boiler system, and a digital display, to ensure a consistently great shot. 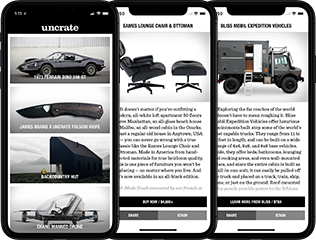 The standard edition is handsome on its own, but if you want something more unique, you can customize the body, side panels, and several other parts to matches your style. There's no reason to go on a smart small appliance rampage just to modernize your cooking area. The Countertop Smart Kitchen System works with the gizmos you already have. It combines a Bluetooth and NFC-enabled base with smart accessories for things like Vitamix blenders and Crockpot slow cookers, a companion app for your iPhone, and fitness trackers like the Jawbone Up to accurately measure ingredients and suggest recipes based on your likes, dislikes, allergies, activity levels, and nutritional needs. Just place your blender/cooking insert on the base, follow the instructions, and enjoy a healthier lifestyle. Artisanal coffee doesn't have to be a lot of work. The Poppy Pour-Over Coffee Machine makes it as simple as a normal coffee maker. It features a built-in hopper that holds 1.25 pounds of beans, and a built-in burr grinder so you can wait to grind until you're ready, ensuring maximum freshness. A 50 oz. water reservoir lets you make up to four servings without refilling, a charcoal filter cleans your water, and best of all, you can adjust the machine's settings right from the Wink app, saving your favorites and sharing them too. And when it's time to order beans and filters, the machine can take care of that, too, with Amazon delivering more before you even need them. Making pancakes isn't hard. Making pancakes in intricate designs is virtually impossible, unless you're a culinary master — or have a Pancake Bot in your kitchen. This entertaining gadget uses a proprietary batter dispensing system to "print" batter directly onto the included griddle, relying on a combination of compressed air and a vacuum to keep things under control. All you need to do is use the included software to trace any image on your computer, load the design onto an SD card, pop it in the machine, fill it with batter, and watch as it creates an edible masterpiece. Enjoy the complexity of siphon-brewed coffee at home without the hassle of making it by hand thanks to the KitchenAid Siphon Coffee Brewer. Built from premium glass and stainless steel, it uses vapor pressure to create a vacuum, siphoning hot water up into the brew unit, fully immersing and evenly saturating the grounds. Once the proper temperature is reached, the heat turns off, and the freshly brewed coffee steams back through a reusable filter and into the carafe. From there just unlock the top chamber, attach the dual-purpose lid to the top of the carafe, pour, and enjoy. Sous vide is a culinary revelation, allowing you to precisely, perfectly cook foods with little effort on your part. The Cinder Sensing Cooker promises similar results without the water. Using an 1800 Watt enclosed stainless steel cooking chamber and two non-stick aluminum cooking plates loaded with sensors it can achieve — and maintain — the precise temperature needed to cook whatever it is you're eating. You control the action with a dial on the front or with the companion app, the latter of which can notify you when your food is ready. You can then hold it at that temperature for up to two hours, and simply hit a button when you're ready to sear it and serve, freeing you up to work on sides, sauces, or just relax.